Armin van Buuren ( [ˈɑrmɪn vɑn ˈbyːrə(n)]; born 25 December 1976) is a Dutch DJ, record producer and remixer. Since 2001, Van Buuren has hosted a weekly radio show called A State of Trance, which is broadcast to more than 37 million weekly listeners in 84 countries on over 100 FM radio stations. According to Djs And Festivals, "the radio show propelled him to stardom and helped cultivate an interest in trance music around the world." Van Buuren has won a number of accolades. He has been ranked the No. 1 DJ by DJ Mag a record of five times, four years in a row. He was ranked fourth on the DJ Mag Top 100 DJs list in 2015 and 2016. In 2014, he was nominated for a Grammy Award for Best Dance Recording for his single "This Is What It Feels Like" featuring Trevor Guthrie, which makes him the fourth trance artist ever to receive a Grammy Award nomination. In the United States, he holds the record for most entries, twenty-one, on the Billboard Dance/Electronic Albums chart. His 2008 studio album, Imagine, was the first trance album in Dutch music history to debut at the top position in the Dutch album charts. Armin van Buuren was born in Leiden, Netherlands, on 25 December 1976, but grew up in Koudekerk aan den Rijn. Van Buuren started making music when he was 14. He was inspired by French electronic music composer Jean-Michel Jarre. Van Buuren graduated from the Stedelijk Gymnasium Leiden in 1995, and studied law at Leiden University. He began working as a DJ in Club Nexus, playing multiple sets a week, most of which lasted six or more hours. In 1999, he met Dave Lewis who introduced him as a DJ in England and the United States. As his musical career began to take off he put his law degree on hold, although he returned to graduate from law school in 2003. On 18 September 2009, Van Buuren married Erika van Thiel, with whom he had been together for eight years. Their daughter Fenna was born in July 2011. Van Buuren announced just hours before he was due to headline the main stage at Tomorrowland (Saturday, 27 July 2013) that his wife had given birth to a son, Remy. In 1996, Armin released EP and Push on Timeless Records. Van Buuren had his first success with a track called "Blue Fear", which was released under the Cyber Records label in 1997. Another successful track, "Communication", was released under the same label and became popular in Ibiza, Spain in the summer of 1999. After being signed to AM PM Records, this track entered the UK Singles Chart at No. 18 in 2000. 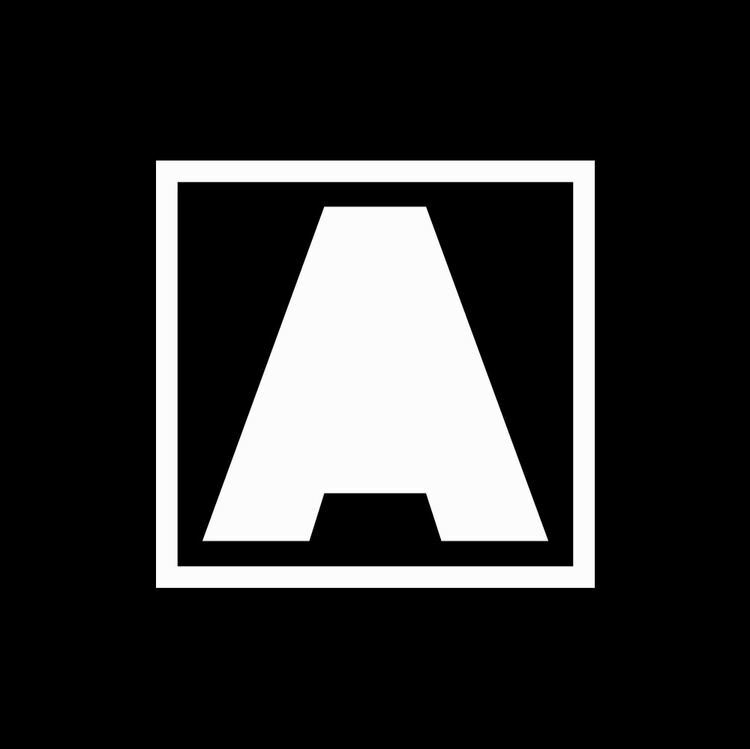 In the beginning of 1999, Van Buuren started his label Armind together with United Recordings. The first release, Gig – "One", was well received. The second release, "Touch Me" under the name Rising Star, was signed to Ministry of Sound in the UK, before the record was released. By the time of his third release, Gimmick – "Free" was signed to R&S Records. During this year, he remixed the first two singles of Gouryella (Gouryella and Walhalla) and, under the guise of Rising Star, produced a remix of L'Esperanza, a song by Airscape. In 2000, Van Buuren started his own Armin van Buuren compilation series, a mix of progressive house and vocal trance styles of music. His first compilation album, A State of Trance (not to be confused with his weekly A State of Trance radio shows), sold 10,000 copies and contains Van Buuren's remix of Moogwai, "Viola". Teaming up with Tiësto, two new projects were born: Major League – "Wonder Where You Are?" was released on Black Hole Recordings and Alibi – "Eternity" was released on Armind. "Eternity" received club and chart success and was signed to Paul van Dyk's imprint Vandit Records. Another major collaboration followed this. Together with Ferry Corsten, Van Buuren recorded a riff titled "Exhale" for the System F album, Out of the Blue. Released as a single, this track reached Gold status. Under the pseudonym Gaia he released "4 Elements" on Captivating Sounds, a sub-label of Warner Brothers. His second album, Basic Instinct featured a new track: "Perpetuous Dreamer" – "The Sound of Goodbye". This track entered the Dutch charts in June 2001 at number 26. Later in the year, the track hit No. 1 on the Hot Dance Music/Club Play chart. The third album, In Motion was released 6 August 2001. A fourth album, Transparence, followed in 2002. In 2003, he worked with such artists such as DJ Seth Alan Fannin throughout a global tour on Dance Revolution in Europe, selling out to crowds of 20,000 people in the Netherlands. In March 2001, Van Buuren started his own radio show on ID&T Radio (traditionally broadcast in Dutch and later English since ASOT 183). In this weekly two-hour show, entitled A State of Trance, he plays the latest popular trance music tracks, and publishes the artists and track titles on his website. When ID&T Radio changed genres in 2004, Van Buuren moved A State of Trance to Fresh FM and later SLAM!FM, two Dutch radio stations. It is now a weekly feature on Radio 538, the Dutch radio station, DI.FM, an online radio station, and on XM Satellite Radio, channel 52 in the United States and Canada. A complete list of stations that broadcast A State of Trance can be found at the ASOT section of Armin's website. In 2002, he had a residency at Glow in Washington D.C., and played across North America. He regularly appeared at Amnesia on the island of Ibiza, Balearic Islands, Spain. In October that year, Van Buuren was voted number 5 in the DJ Mag. In June 2003, Van Buuren celebrated the 100th episode of A State of Trance at Bloomingdale, Bloemendaal aan Zee, Netherlands and released his debut studio album, 76, a 76-minute album divided into 13 tracks. In the same year he was voted No. 3 in the DJ Mag and held third place for the next two years (2004, 2005). Also in 2004, Van Buuren remixed the 24 theme song into a trance hit. On 2 June 2005, he celebrated the 200th episode of A State of Trance at Museumplein, Amsterdam, Netherlands. On 8 August 2005, Van Buuren released his second studio album, Shivers. On the album Van Buuren worked with artists such as Pakistani-American singer Nadia Ali, English singer Justine Suissa and American trance duo Gabriel & Dresden. On 25 May 2006, he celebrated with various artists the 250th episode of A State of Trance at Asta, The Hague, Netherlands. He was voted No. 2 in the 2006 DJ Mag. On 17 May 2007, he celebrated with various artists the 300th episode of A State of Trance at Pettelaarse Schans, Den Bosch, Netherlands. Finally, Armin reached No. 1 in the 2007 DJ Mag. On 12 January 2008, Van Buuren was given the "Buma Cultuur Pop Award," the most prestigious Dutch music award. On 17 April 2008, Van Buuren released his third studio album, Imagine. It features collaboration with singers such as Jacqueline Govaert of Krezip. The album debuted at number one on the Dutch Albums Chart. The second single released from the album, "In and Out of Love", featuring Sharon den Adel from the band Within Temptation, has spawned a music video that has been viewed over 150 million times on YouTube. Since the release of Imagine, Van Buuren has been working with Benno de Goeij of Rank 1 on solo productions and remixes. On 1 May 2008, he celebrated with various artists the 350th episode of A State of Trance at Noxx, Antwerp, Belgium. He was voted No. 1 in the 2008 DJ Mag again. He collaborated with his brother, guitarist Eller van Buuren, at Together As One in Los Angeles, U.S., on New Year's Eve 2009, as well as on Armin's 2008 studio album Imagine. His performance with his brother at Together As One was also the last event of his Armin Only: Imagine world tour. To celebrate the 400th episode of A State of Trance, he performed at three shows with various artists in April, 2009 at Club Butan, Wuppertal, Germany, AIR, Birmingham, UK and Maassilo, Rotterdam, Netherlands. 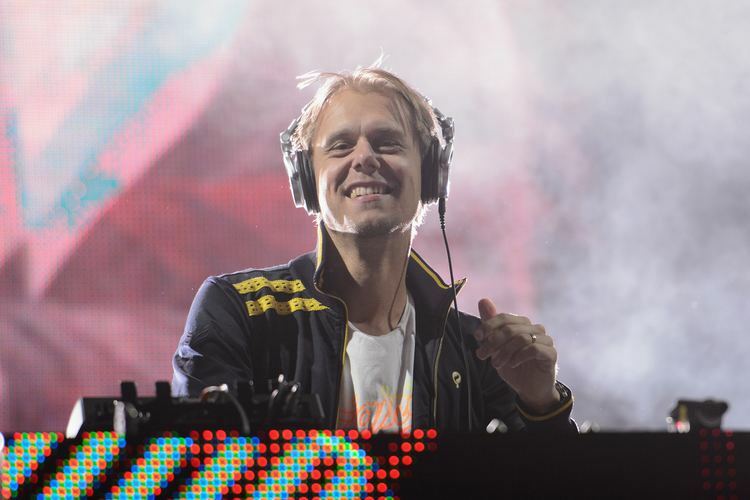 Also in 2009, Foreign Media Games announced the production of Armin van Buuren: In the Mix, a music video game being produced in collaboration with Cloud 9 Music and Van Buuren's Armada Music label. The title was released on 12 November 2010 exclusively for the Wii console. He was voted No. 1 in the 2009 DJ Mag for the third consecutive year. On 3 March 2010, Van Buuren was awarded with the Golden Harp, for his musical work and contribution to Dutch music, by BUMA/STEMRA at the 2010 Buma Harpen Gala in Hilversum, Netherlands. To celebrate the 450th episode of A State of Trance, he performed with various artists at five shows across two continents. The locations were: The Guvernment, Toronto, Canada on 1 April 2010, Roseland Ballroom, New York City, US on 2 April and on 3 April again, Expo Arena, Bratislava, Slovakia on 9 April and Centennial Hall, Wroclaw, Poland on 24 April. On 23 June 2010, it was announced that Van Buuren's fourth studio album, Mirage was due to be released on 10 September. The first single "Full Focus", was released through iTunes Store on 24 June. The song peaked at number 60 in the Netherlands. One of the confirmed tracks from the album is a collaboration with English singer Sophie Ellis-Bextor called "Not Giving Up on Love", which was released as a single from Bextor's fourth studio album, Make a Scene. Armin also wrote a song for English singer Seal, but due to the release of his greatest hits album, Hits, the collaboration never came together. On 12 September 2010, Van Buuren launched "A State of Sundays", a new weekly 24-hour radio show aired on Sirius XM Radio. On 20 October 2010, Van Buuren won the award for Most Popular International DJ presented by The Golden Gnomes. A week later he was announced, for the fourth year running, as the number one DJ in DJ Mag. The 2010 edition of Armin Only: Mirage kicked off in November 2010, in Utrecht, Netherlands, and was followed by shows in Saint Petersburg, Kiev, Buenos Aires, Melbourne, Beirut, Poznań, Moscow and Bratislava. In March and April, 2011, celebrating the 500th episode of his radio show, Van Buuren performed five live shows along with various artists; the first was in Johannesburg, South Africa at MTN Expo Centre, and the second in Miami's Ultra Music Festival. He then performed in Argentina at GEBA in Buenos Aires, followed by a large event at Brabanthallen in Den Bosch, Netherlands which included more than 30 DJs from countries all over the world and was attended by over 30,000 people. The final show was held in Sydney on 16 April at Acer Arena. In 2011, Van Buuren was appointed Officer of the Order of Oranje-Nassau for services to Dutch dance and music economy. That year he also received the Key to (Freedom) of Leiden from the City Mayor, as well as being voted No. 2 in the 2011 DJ Mag. To celebrate the 550th episode of A State of Trance, he performed with various artists on two different continents during fourth weeks. The show was called A State of Trance 550: Invasion. The first event was celebrated at Ministry of Sound in London on 1 March 2012. On 7 March, Moscow held the second event at Expocentre. Kiev's show was performed at International Exhibition Centre on 10 March. On 17 March, as part of the Beyond Wonderland festival in Los Angeles and on 25 March at the Ultra Music Festival in Miami. On 31 March, the biggest and final edition of ASOT 550 took place in the Brabanthallen of Den Bosch, Netherlands. On 19 October 2012, Van Buuren was announced for a fifth non-consecutive year as the world's number one DJ according to DJ Mag. To celebrate the 600th episode of A State of Trance, Van Buuren announced that he would perform with various artists all around the world in early 2014. The show was called A State of Trance 600: The Expedition. It was announced that the show would tour the world, including stops in Madrid, Mexico City, São Paulo, Minsk, Sofia, Beirut, Kuala Lumpur, Mumbai, Miami, Guatemala City, New York City, and Den Bosch. The first single of Van Buuren's fifth studio album, Intense, titled "This Is What It Feels Like", featured Canadian singer and songwriter Trevor Guthrie, and was released on 5 April 2013. The single nominated for a Grammy Award for Best Dance Recording. The tour for the album, Armin Only: Intense, was announced on 17 October 2013. 30 April 2013 saw the abdication of Queen Beatrix of the Netherlands in favor of her son, King Willem-Alexander of the Netherlands, who was crowned that day. Van Buuren was the headline act in a performance to a live audience celebrating the King's crowning in Amsterdam. While he was performing live together with the Royal Concertgebouw Orchestra, King Willem-Alexander, Queen Máxima and their three daughters made an unplanned visit on stage. On 19 October 2013, Armin van Buuren ranked No. 2 on DJ Mag. On 26 January 2014, Armin van Buuren attended the 56th Grammy Awards, in relation to his Grammy Award nomination for the single featuring Trevor Guthrie, "This Is What It Feels Like" in the category of Best Dance Recording. On 8 May 2015, Armin van Buuren released the first single from his sixth studio album, Embrace which was released on October 29, 2015. The single is titled "Another You" featuring Mr Probz. Three weeks after releasing "Another You", Van Buuren also debuted another remix from Game of Thrones official theme which is originally made by composer Ramin Djawadi. On 16 October 2015 Armin van Buuren released the next single from Embrace called "Strong Ones" featuring Cimo Fränkel. This was followed by the release of his collaboration with Cosmic Gate "Embargo" on 22 October 2015. To accompany the album's release, Van Buuren announced the return of the Armin Only series of parties. This edition of the tour will be titled Armin Only: Embrace and is set to take place throughout both 2016 and 2017. As the title of the tour suggests, it will be based around the collection of music that he's showcased on his new album. On 2 February 2017 Armin van Buuren officially opened the new A State of Trance radio show studio in Amsterdam as part of the celebrations for the 800th episode of the radio show. The studio is located in the Armada headquarters and since its opening all of the A State of Trance episodes are streamed as video on Armin van Buuren's Facebook and YouTube pages. With the new accommodations made possible by the new studio, he introduced a new segment of the radio show called "Service for Dreamers" where he invites fans to send in their favorite trance tracks that have a special meaning to them and every week one track gets chosen to be featured live on the show and introduced by the fans of the radio show live on the air, either by a walk-in, phone call, Skype or other means of contact. In 2011, Van Buuren was appointed Officer of the Order of Orange Nassau for his services to music.